Robbie Stephens (20), of Thorpe Road, Melton, pleaded guilty to driving with excess alcohol on Bayswater Road, Melton, on April 1, driving otherwise than in accordance with a licence and riding a scooter on a road without protective head gear. Stephens was found to have 66 microgrammes of alcohol in 100 millilitres of his breath. The legal limit is 35mcg. He was banned from driving for 17 months, which may be reduced by 17 weeks if he completes a course. Stephens was also fined £110, must pay a £20 victim surcharge and £85 costs. 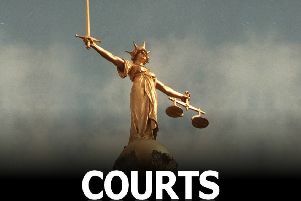 Stephen Preston (36), of Beckmill Court, Melton, pleaded guilty to assaulting a woman in Melton on March 22. Preston was discharged conditionally for 12 months and must pay £50 compensation. Jake Chapman (22), of Saxelby Road, Melton, was found guilty of failing without reasonable excuse to comply with requirements of a community order imposed by Leicester Magistrates’ Court on June 12 by failing to attend appointments as instructed on December 14 and January 25. Chapman’s community order was revoked and he was instead given a four-week prison sentence, suspended for six months. He was also ordered to pay £250 costs.